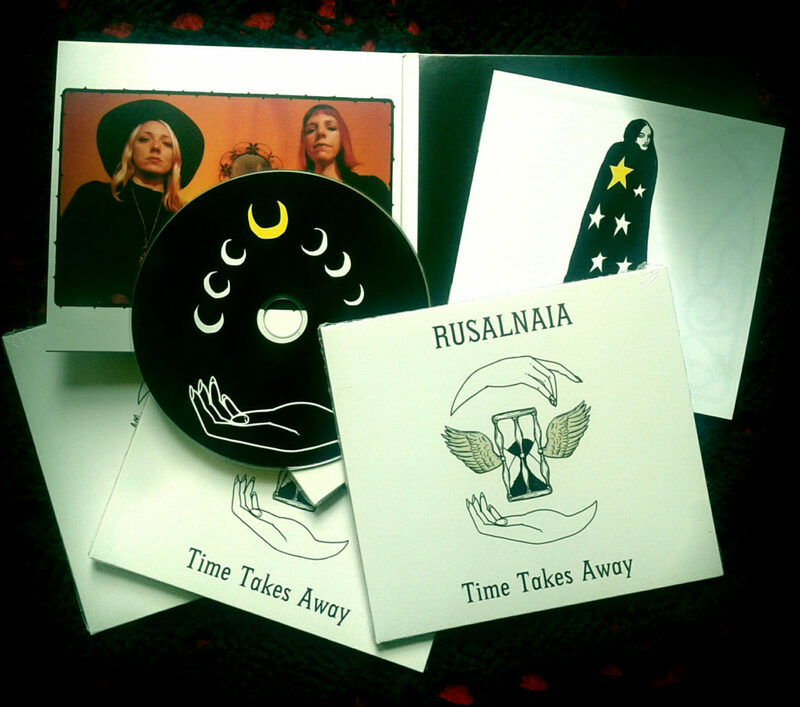 ‘Cast A Spell’ from the forthcoming Rusalnaia album Time Takes Away was premiered at Folk Radio UK yesterday. Gillian flew in yesterday and we’ll be setting off on tour to showcase the new album as well as revisiting some tracks from the old. We’ll mostly be performing as a 4-piece with Nick Jonah Davis on electric guitar and Guy Whittaker on drums. I was commissioned to write a song for ‘There’s Something in the Water’; The Reasons: Community Stories & the Fens – a digital storytelling event organised by DRY. The event took place last week at Ramsey Rural Museum and brought together farmers, conservationists, anglers, water regulators and local historians to tell stories of their experiences with water in the area. My job was to write a song that brought together themes from the different perspectives offered by these storytellers. I’d been sent recordings of some of the stories in advance, and Antonia Liguori, one of the project organisers, had talked me through the project, but my task seemed daunting. I didn’t know anything about the geography or history of the Fens and felt that I’d have to do a lot of research if I were to write something that really engaged with the concerns of the storytellers. I pored over maps of the area, finding the network of water channels strange and baffling. What was going on? The River Nene seemed to split into two, one part becoming a long straight canal, the other twisting, disappearing then reappearing. There were straight manmade water channels crisscrossing the land, each one named – ‘Bevill’s Leam’, ‘Pigwater Drain’, ‘Monks’ Lode’, ‘King’s Dyke’. I found out about how the area had originally been underwater and had been drained extensively in the 17th century, creating fertile agricultural land, but depriving fishermen, wildfowlers, eelers and thatchers of their livelihoods. I discovered that the land had sunk further and further below sea level over the years and now relied on a complicated set of locks, sluices and pumps to drain the water and take it to the sea. Inspiration came from the contrast between the snaking curves of the river and the straight manmade channels, the freedom and flow of a river and the control and artifice of these dykes and drains. I had a chorus and a song title, then worked on building verses that gave voice to each of the different storytellers. I started to get a feel for the place, and though I’m not naturally drawn to flat, treeless landscapes, I found myself starting to be fall a little in love with the idea of the Fens. What I experienced was a little like the way a fictional place can come to seem appealing as you read about it. I was attending a planning meeting in Ramsey the evening before the event, and as I drove towards Cambridgeshire, bypassed Peterborough and stated to see road signs for places that had become familiar to me – Holme, Whittlesey, Yaxley, Ramsey – I started to feel excited. The roads I drove along were just as straight as the water channels, and seeing the water channels and the dark, peaty soil in the fields, just as I’d imagined them, was like stepping into a story. 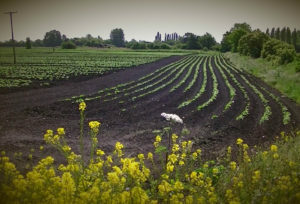 I spent the night in Peterborough and had all day to explore, before the evening’s event. I drove to Pondersbridge and walked along Bevills Leam, noticing that though the Leam was as straight and artificial-looking as I’d imagined it, it had yellow waterlilies growing in it, and the reeds and rushes grew as plentifully on its banks as on the banks of any river. As well as the contrast between the river and the dyke, there was a sense of water being water, as far as nature is concerned. I walked through birch woods that bordered a lake in Holme Fen, a nature reserve that’s part of a large area being restored to wetlands as part of the Great Fen Project. 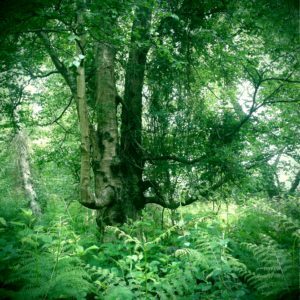 I found the silent white birches and the lush undergrowth around them beautiful and mysterious, and love the idea of animals like otters, beavers, water voles and eels returning and thriving here. I heard the hoot of an owl as I walked. I wondered how much conflict there was between the conservationists involved in the Great Fen Project and the farmers who, I guessed would want to keep the land for agricultural usage. The evening event was attended by members of the local community, who were friendly and welcoming. The storytellers were all gently passionate about the things they spoke about, and they seemed to be open to dialogue with each other. At the end of the evening I sang my song – ‘A River is a Snake’ – and invited people to sing along on the chorus. To my surprise and delight, they did so, without reticence. 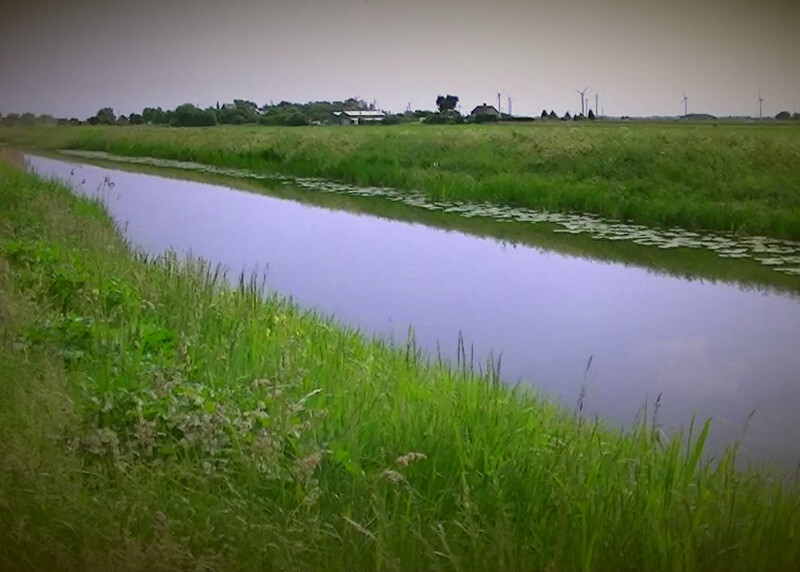 It was a wonderful end to my time in the Fens. ‘Time Takes Away’, the new Rusalnaia album, will be released on cd by Cambrian Records on July 15th, but is available to pre-order now. The cd comes in a lovely gatefold sleeve with cover art by Bill Crisafi.